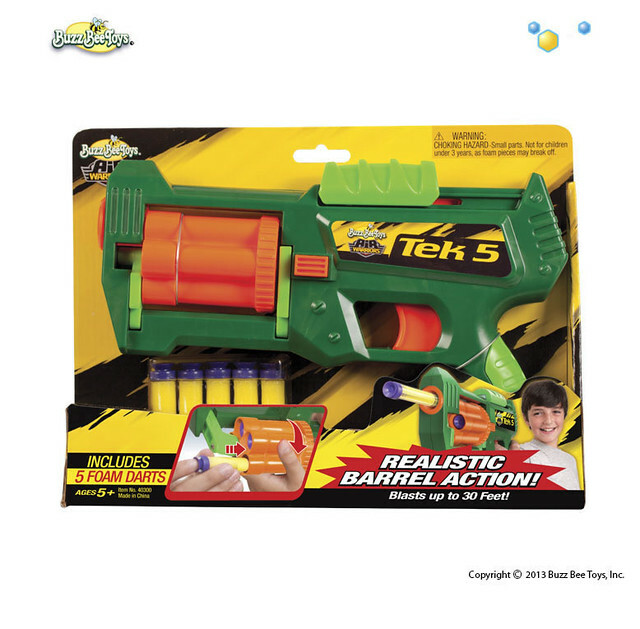 Target puts up Buzz Bee Extreme Mag 6 listing, Possible New Blaster? 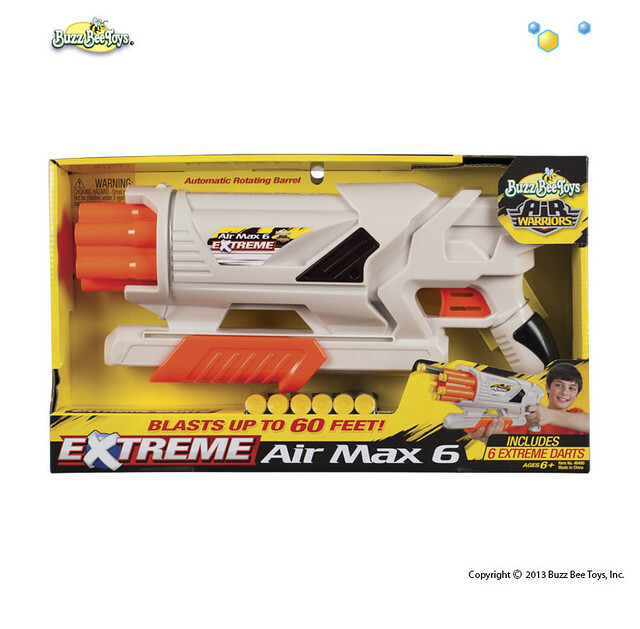 The Target website has recently put up a listing for a new Buzz Bee Blaster called the “Extreme Mag 6”. 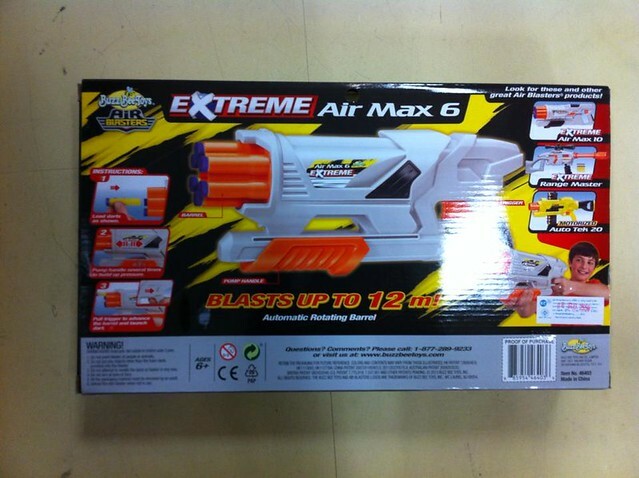 It’s part of Buzz Bee’s new “Extreme” line, in which they claim up to around 60 feet ranges now. This blaster is being sold for $9.99. 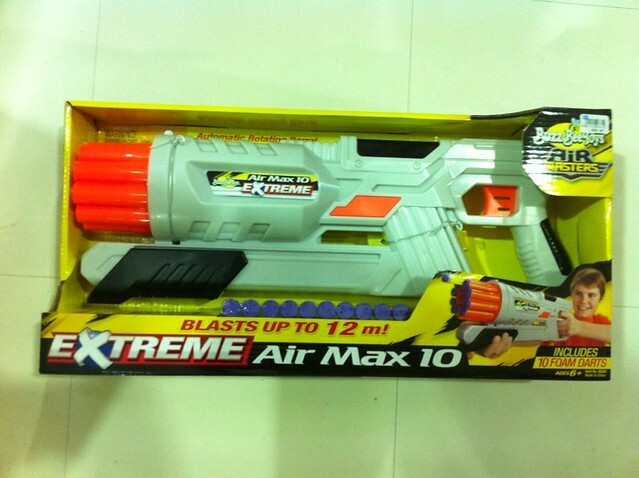 However, looking back at the Buzz Bee Air Max 6 that came back earlier in the year, it pretty much very looks the same as this Extreme Mag 6 above. I haven’t seen either of them in person before, so I can only speculate at the moment. The photo below is of the Extreme Air Max 6. 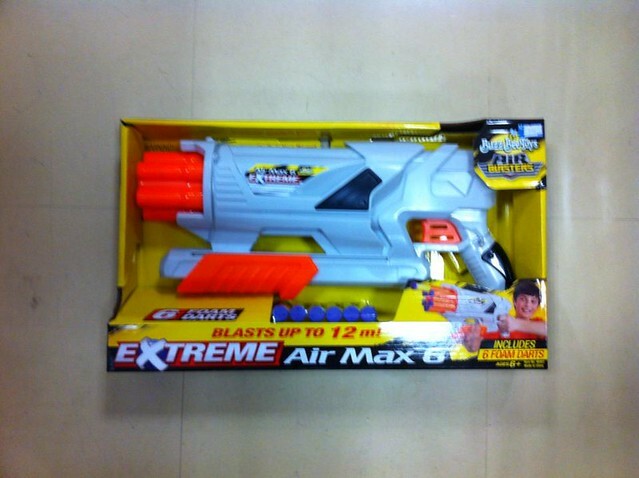 Again, it looks very much like this “new” Extreme Mag 6 blaster. 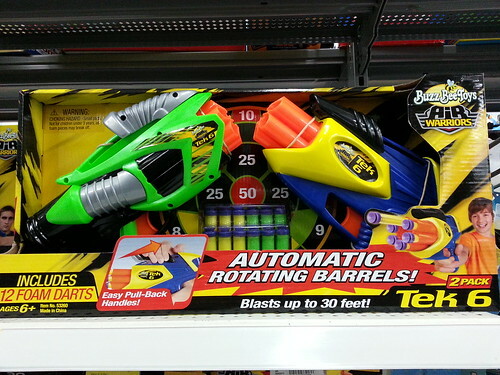 It wouldn’t be the first time Buzz Bee has renamed a blaster of theirs. 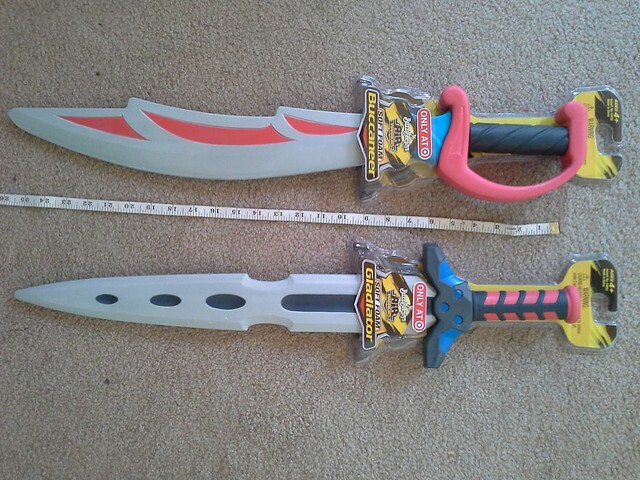 Josh and Shawn over at Bay Area Nerf were doing some DCPI Target hunting, and recently found a vague listing for “Foam Swords” under DPCI 087-11-0346 for $9.99, although in the post they mention it as saying it was $9.99 each. When pulled from the back, that’s what they got above. More from their post below in relations to length and foam quality. Each sword measures in at roughly 2 feet from pommel to point, with the blades coming in a little under 19 inches. The “blades” are thinner than most of the melee offerings from Nerf (although we haven’t been able to check out the new Zombie Strike Machete). The handles are only meant for one handed use, but aren’t so small that those with bigger hands will find the grip too short. The swords themselves feel fairly sturdy, and with the foam being more dense than some of Hasbro’s melee alternatives, they may last a bit longer than their competitor. Hopefully field test will yield more conclusive results, specifically against some zombie hordes. Some of the people I play Nerf with like melee combat, so I’m sure that they’ll be liking these new swords. Check the Bay Area Nerf post for more photos and info. 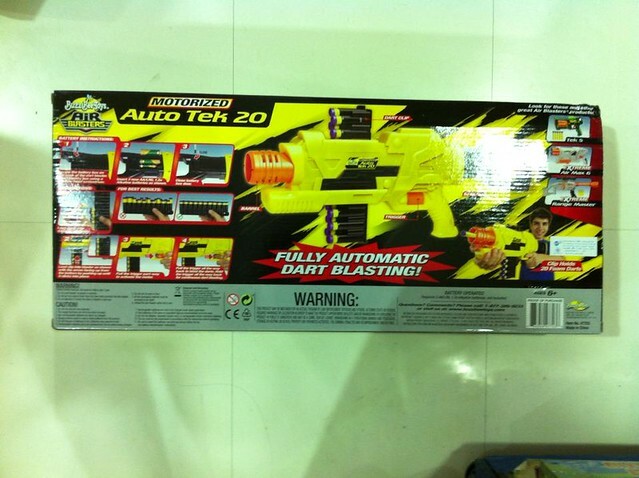 A user from the Nerf SG forums Facebook page has posted some photos of 3 new Buzz Bee blasters that have been spotted in Thailand. They are the “Extreme” Air Max 6, Extreme Air Max 10, and the Auto Tek 20. The back of the Air Max 10 is pictured above. 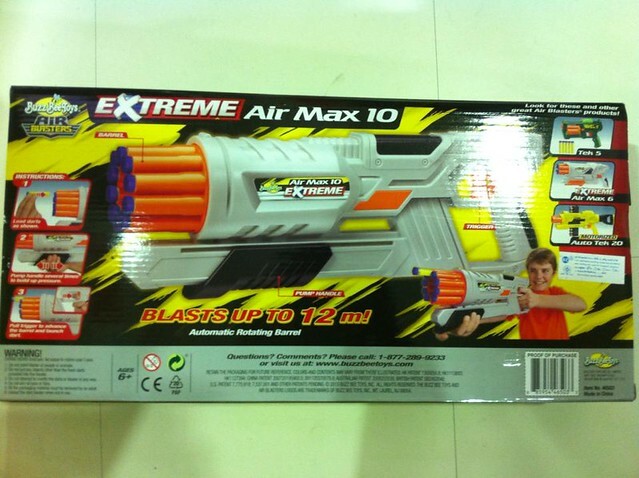 The “Extreme” Range master is also pictured on the back of the box. Range claims say up to 12 Meters on both the Air Max 10 and Air Max 6 box art. 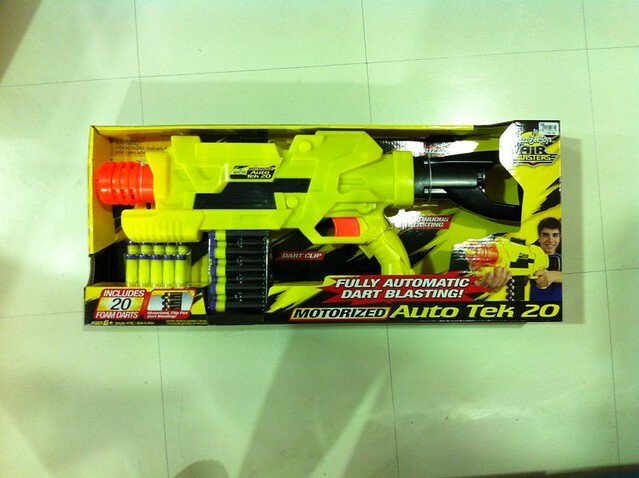 The Auto Tek 20 features a removable 20 dart clip, and is powered by 3 AA batteries. It’s flywheel powered according to the post in the Facebook group. 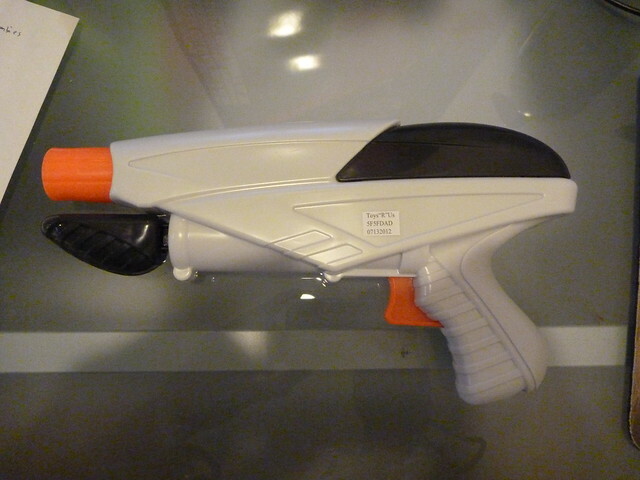 Air blasters are what’s going to get most of the attention from the Nerf Internet Community and it’s modders. 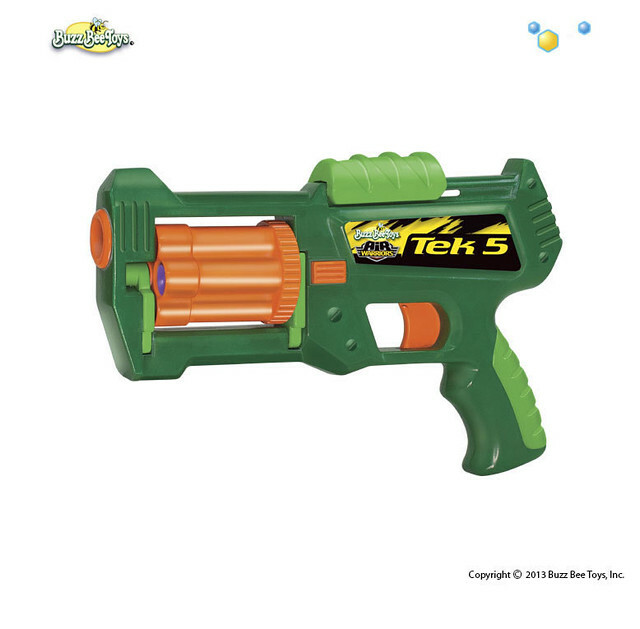 Buzz Bee toys updated their website today with a new product called the Tek 5. I haven’t seen this in stores yet, or heard much about it, but man with the release of the Strongarm recently, Buzz Bee and their blasters are looking more obsolete then ever. You can check the original listing here. 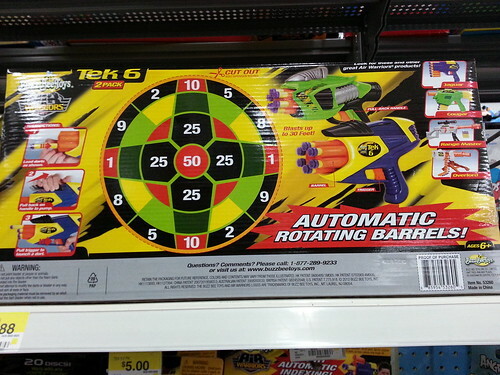 Blasts darts up to 30 feet! I’ve seen this in Walmart for the past couple of weeks, and I thought it was an interesting combo pack. The one on the left is the old design, and the one on the right is the new design. I know it’s not ground breaking news, but the Tek 6 used to be my favorite blaster at one point. And I also have a review on it here. Pricing was $9.99 on this combo pack. Well heres my late pass, please excuse me. 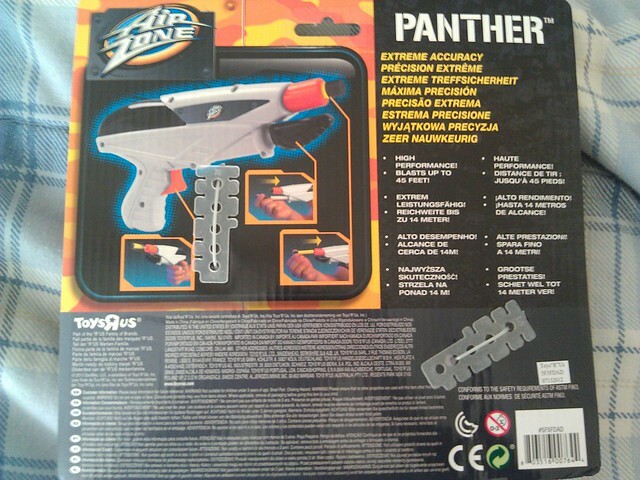 I finally managed to drag myself over to a Toys R Us and get the Airzone version of the Panther. 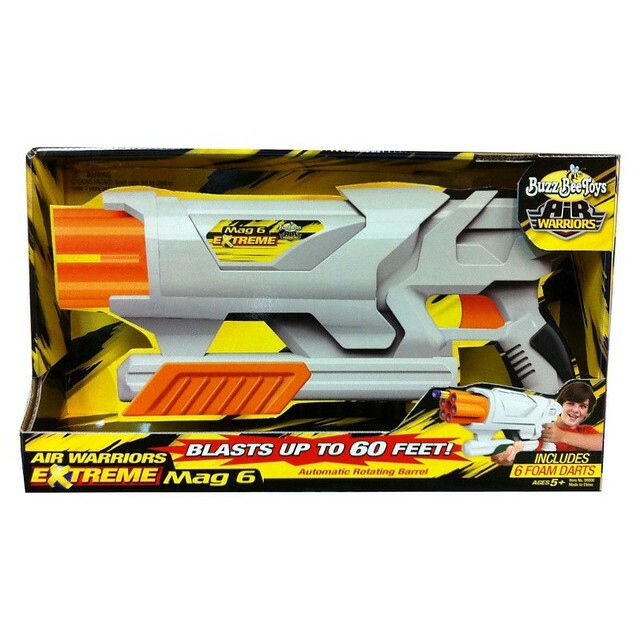 In case you didn’t know, Airzone is a Toys R Us brand, in which they contracted Buzz Bee to construct blasters for them, thats probably why Buzz Bee and Airzone Toys look similar. It’s only $5 USD at Toys R Us as well. The back of the box claims up to 45 feet, and there are several instances of people backing up that claim. It only takes 4 or 5 pumps to get this thing ready to fire. 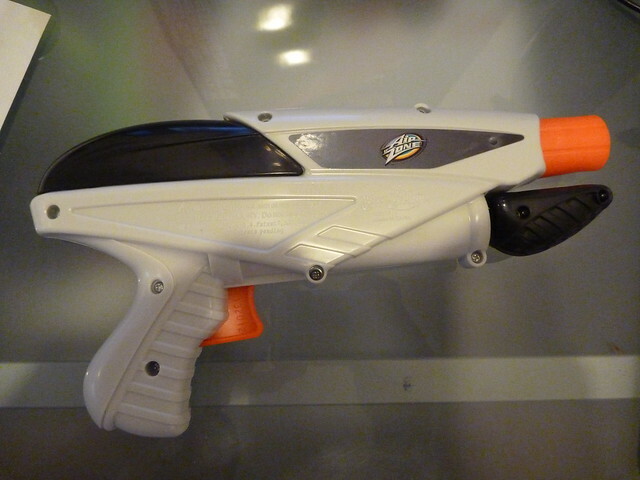 It looks a bit bland, but still a bit better then the Buzz Bee counterpart. 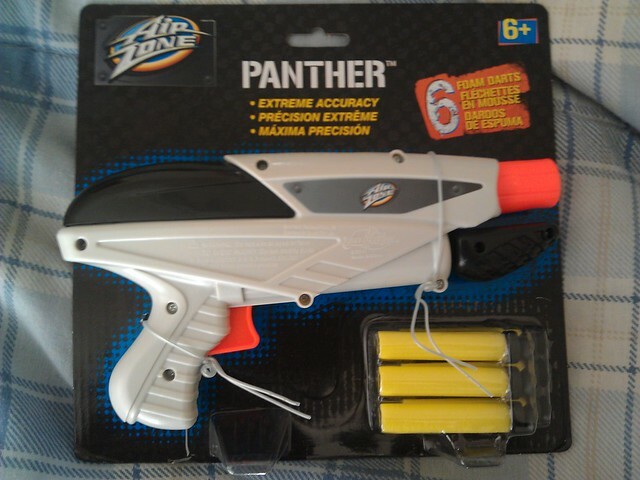 Expect an initial reaction, firing test, and range test video sooner then later.